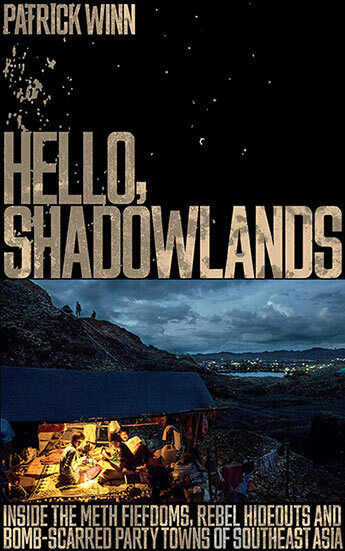 Hello, Shadowlands is the story of Southeast Asia's anarchic enclaves and their hidden connections to the West. There is no better place to observe the clash between old codes and the pressures of the 21st century than on the darker parts of the map, beyond the tourist trail, where armed clans rule. Spanning Thailand's insurgency zone to the swamplands of Vietnam, investigative journalist Patrick Winn spent two years travelling amongst the lives of those bound by hard truths. These are places where, in the absence of law, ordinary people must summon brilliant ingenuity to survive. The book penetrates the worlds of Islamic crust punks, dog thief syndicates, North Korean restaurateurs and others chasing fortunes in the shadows. These characters aren't just tormented by local tyrants. Their lives are also complicated by greater forces - especially Western conglomerates or old U.S. foreign policy misdeeds, still reverberating through the region. Life in the shadowlands isn't always ponderous: from the guerrilla fiefdoms of Myanmar to punk-rock squat houses in Aceh, humour can still flourish, and Hello Shadowlands is the most accessible guide yet to these bleakly dangerous places.